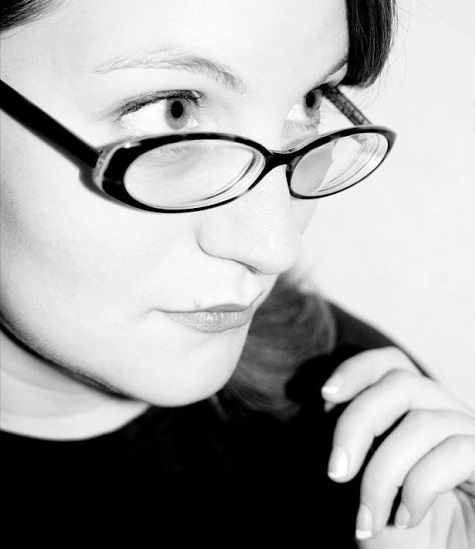 Scattered Thoughts and Rogue Words is happy to host Kim Dias here today on her Breakfast at Midnight tour. Welcome, Kim. I find this one of the hardest questions to answer because, well, I don’t really know! I definitely share traits with several of my characters, but when I’ve finished writing, I sometimes feel as though there’s more of my characters in me than there is of me in them. Which can make me feel a little bit crazy sometimes! When a character has a really strong voice, I’ll sometimes find myself talking in their voice rather than them talking in mine. It’s a good thing, I think. I’d rather have their voices come easily to me than struggle with them. This happens more with characters than with plots. I’ll often have a character in my head for years and years before I find the right story for them. Shawn from my short story “How to Build a Shed” was one of those characters. He was in my head for ages before I managed to find the right story for him. Do you mean choosing one over the other? Because I really can’t do that. It depends on the story. If the ending fits the story, I like it. I hate seeing a happy ending forced into a story, the same way I hate seeing sad endings forced into a story because a happy one didn’t seem artsy enough, I guess. My two favourites are “How to Build a Shed” and “Two Captains”. I really love the storyline of “How to Build a Shed”; it takes me to such a happy place, and I love my characters in that one. As for “Two Captains”, well, I call it “my queer lady pirate story”, and I love it just for the fact that I can give it that description. It does important things for representation, I think, and I’m incredibly proud of it. My current work station is pretty great—it’s just a desk set up in my bedroom, but its atmosphere is really conducive to getting work done. It’s also where I got the news about Breakfast at Midnight’s publication, so there are very fond memories associated with this desk. But if I’m dreaming, I’d love a house on the beach with a study overlooking the ocean. A big desk. A whiteboard on the wall so I can scribble down my ideas when they’re overflowing from my head. Bookshelves absolutely filled with books. Someone to bring me cups of tea. I have a hard time working when I’m surrounded by clutter. My desk is currently a mess and I’m struggling with everything. I need to set aside some time for cleaning because clutter at my work station seems to create clutter in my brain. I’m currently at school. I’m majoring in writing at the University of Victoria in Canada. So there’s lots of writing, but it isn’t always the kind of writing I want to be doing. My current goal is to survive this semester, but I’m always playing with ideas for my own creative pursuits. Editing Breakfast at Midnight was such a rewarding, but exhausting experience that I haven’t ventured out into romance since we wrapped up, but I think it’s time. I want to write about people falling in love again. It’s my favourite thing to do. This entry was posted in Book Reviews, Books, Contemporary fiction, Dreamspinner Press, eBooks, LGBTQ Book Reviews, M/M Book Reviews, M/M Contemporary Fiction, M/M Fiction, M/M Romance and tagged #BreakfastatMidnight, #newbookreleases, @dreamspinners, author Kim Dias, Breakfast at Midnight by Kim Dias, HFN, May/December romance. Breakfast at Midnight by Kim Dias is short but the author does a remarkable job of packing a lot of heart, angst, and promise into 66 pages. A first for me by this author, the story of two men, each having huge difficulties in their lives and professions. They meet and connect at a Denny’s, that connection grows into a possibility for the future and while that happens, they set their own lives a little straighter as well. That’s it. Only the possibility of a HFN, but the manner in which the author builds the tenuous relationship feels realistic. There’s no instalov which I appreciated, given the age difference and the problems each man is facing in their own lives. There’s even the acknowledgement of the age difference, the idea the Callum has no idea who he is yet and needs to find that first (again a wonderful authentic touch), and that Fred needs time to work on his own issues and by the end of the story is well on his way to resolving some as is Callum. At the beginning of the story the men met at a crossroads, something wonderful happens and now it’s up to them how the future unfolds. At the end of the tale, we see the potential for a future. That’s lovely. Is the end a bit abrupt? Yes. Does the story have some narrative issues of its own. Sure but the whole here it still sweet and real, it leaves you rooting for something more for both Fred and Callum, even if it’s not lasting. I felt good after reading Breakfast at Midnight. I felt hopeful and wanted to learn about what happens next. Maybe the author will deliver that in another story. Maybe not. Either way, I recommend this one to you lovers of romance! Cover Artist: L.C. Chase. The cover art does a great job with both characters and the major element of the location of most of their scenes. Love it. 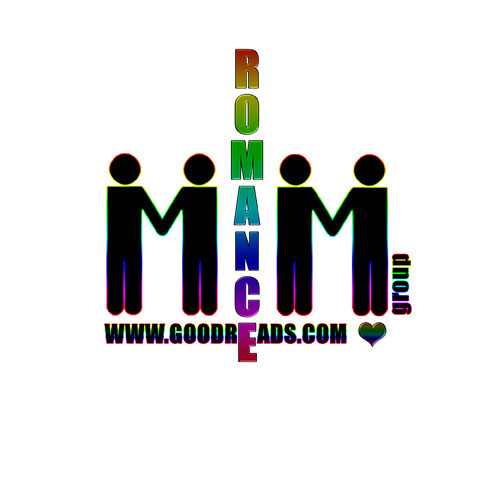 This entry was posted in Book Reviews, Books, Contemporary fiction, Dreamspinner Press, eBooks, LGBTQ Book Reviews, M/M Book Reviews, M/M Contemporary Fiction, M/M Fiction, M/M Romance, Uncategorized and tagged A MelanieM Release Day Review, A MelanieM Release Day Review: Breakfast at Midnight by Kim Dias, age difference in lovers, author Kim Dias, Breakfast at Midnight by Kim Dias, May/December romance. This was a very enjoyable story. Ben has been alone since his partner passed away putting all he has into the library he manages, making his own family out of the other employees. He is drawn to Jason when he first sees him and befriends the young man hoping to draw him out of his shell. Ben is almost thirty years older than Jason and despite his feelings tries to keep their relationship as friends only until his friends and Jason’s grandmother convince him that all that matters is how they feel about each other. Jason has been through so much he deserves to have happiness in his life. Both characters have to open up to the possibility of more than what they currently have in their lives. This story is told from Ben’s point of view, so we can easily see his emotions and thoughts. It takes a bit to understand some of Jason’s feelings, but he is very open with how he feels. I was so happy for Jason being able to gain friends through the library employees and the love he deserves from Ben. Even though Jason is much younger than Ben he is more mature than his age in many ways, but you can still see his youth come through during the story. I was very happy with how this story ended and am glad they got their happy ending. Cover art by Alexandria Corza is perfect and I wouldn’t change a thing. This entry was posted in Book Reviews, Books, Contemporary fiction, Dreamspinner Press, eBooks, LGBTQ Book Reviews, M/M Book Reviews, M/M Contemporary Fiction, M/M Fiction, M/M Romance, Uncategorized and tagged An Alisa Recommended Read, An Alisa Release Day Review, An Alisa Release Day Review: Bear Among the Books by TJ Masters, author T. J. Masters, Bear Among the Books by T.J. Masters, May/December romance. Scattered Thoughts and Rogue Words is happy to have Brigham Vaughn here today to talk about her novel, Connection, and the inspiration behind it. Welcome, Brigham. Tell our readers about Connection and the series its linked to. When I began writing the novella “Equals” I never dreamed that almost two years later it would become a 4-novella series with a 2-novel spin off. I loved Russ and Stephen–the couple in the original series—but Evan and Jeremy slowly but surely stole my heart. Jeremy was a side character in the first book. An ex of Stephen’s whose crippling car accident fifteen years prior set Stephen up for a host of relationship issues and created one of the main conflicts between him and Russ in “Equals”. Evan was a throwaway character, originally written into “Partners” to give Stephen’s hometown of Putnam a more sympathetic face and depth. He was a lost, lonely young man, aching to find gay men to look up to and found in role models in Russ and Stephen. Russ caught a glimpse of that and a very tentative friendship was formed, leading Evan toward a future in Atlanta. By the time I finished “Partners” I knew I needed to tell Evan’s story. My betas strenuously agreed. As I tossed around ideas of who I would pair Evan with, Jeremy popped into my head. At first it seemed preposterous; Jeremy was thirty-six, mentally and physically scarred from the accident, and bitter and jaded by the idea of dating. Twenty-one-year-old Evan—despite his shyness and insecurities—was wide-eyed and optimistic. He longed for a relationship and the security it would bring. They had nothing to offer each other. Except, I’d just written a May/December romance where the age difference between Russ and Stephen worked. They balanced each other out. What if Jeremy’s brashness was the perfect counterpoint to Evan’s shyness? What if Evan’s optimism softened Jeremy’s pessimism? What if they gave each other the strength to work through their own fears and insecurities? What if they were better together than they could ever be apart? With those thoughts, the idea of the story fell into place. The characters fit together like puzzle pieces in my head. It wouldn’t be an easy road to get them to that point, but once I did, I knew they’d be perfect for each other. 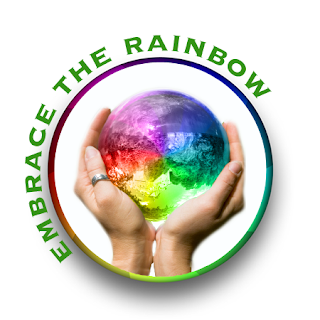 The first book, “Connection,” was released last October. The second half is called “Trust” and it is available today. 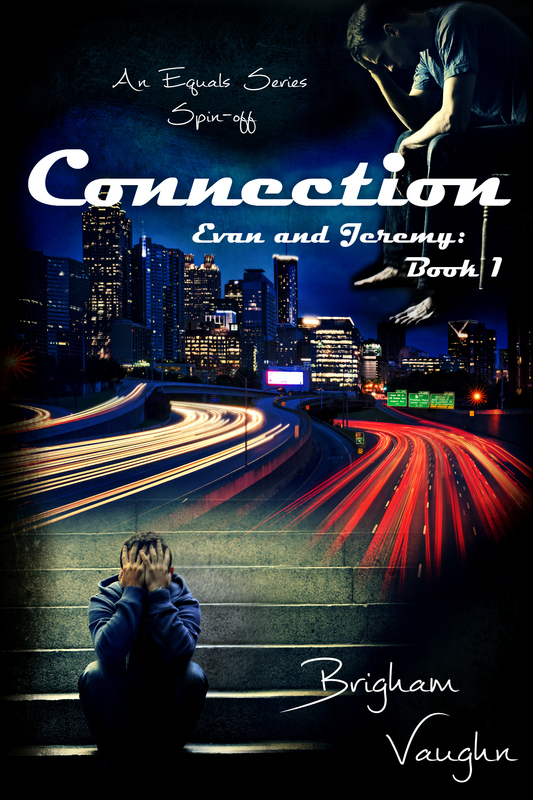 The books will take you from Evan’s arrival in Atlanta and through the next year of his life as he and Jeremy meet and build a relationship. If you’re new to the “Equals” world, you can read “Connection” and “Trust” as standalone novels. But if you’d like to start at the very beginning, pick up a copy of “Equals”. It is available for free. I have no doubt you’ll love all four men as much as I do. Equals (Equals #1) by Brigham Vaughn Goodreads link free at Amazon etc. 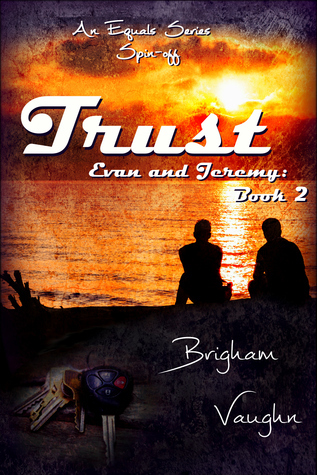 This entry was posted in Book Reviews, Book Tours and Contests, Books, Contemporary fiction, eBooks, LGBTQ Book Reviews, Uncategorized and tagged Connection (Evan and Jeremy #1) by Brigham Vaughn, May/December romance.